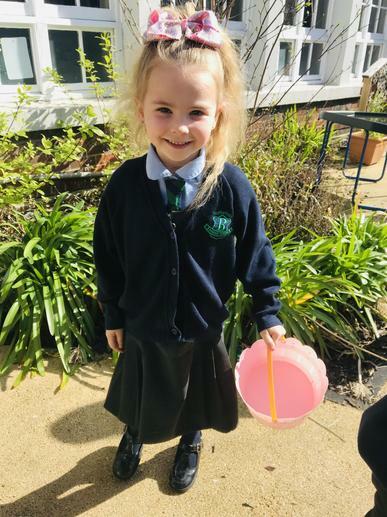 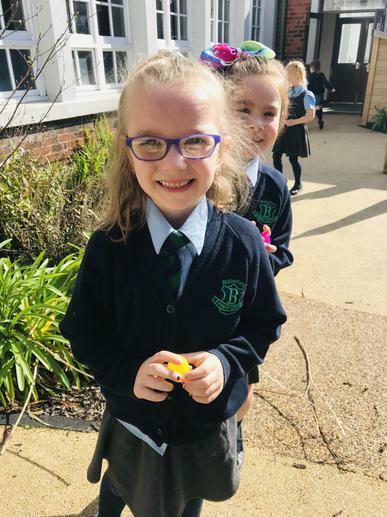 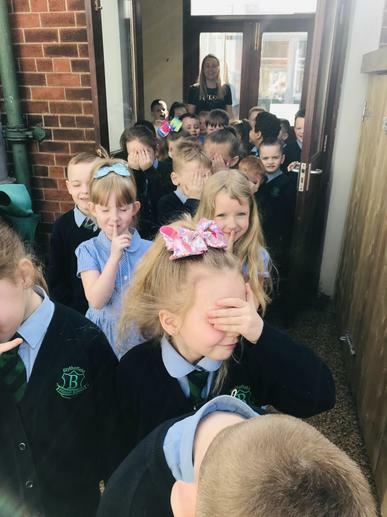 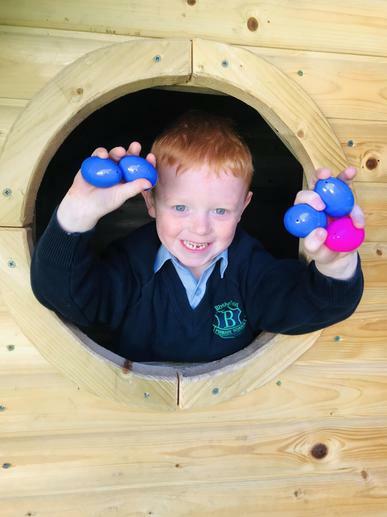 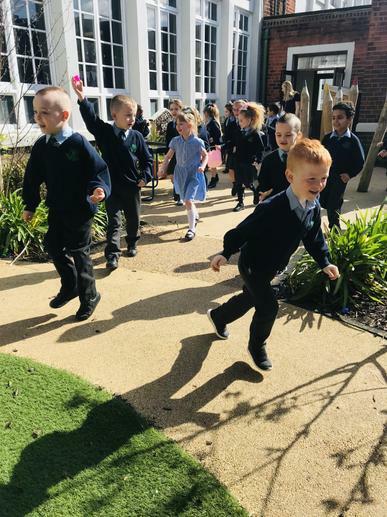 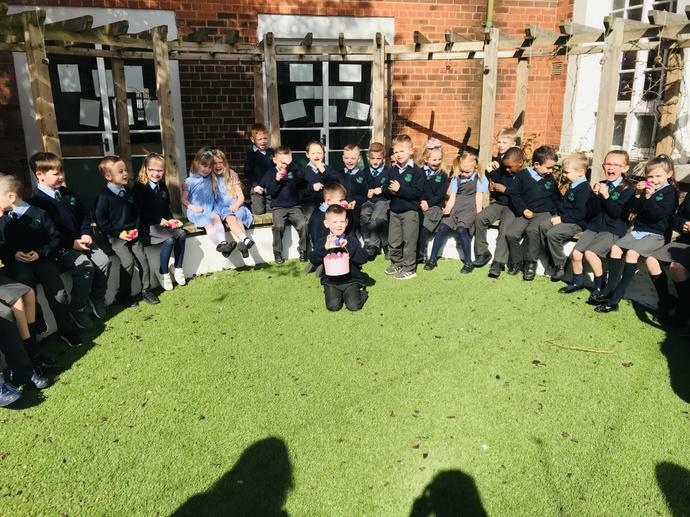 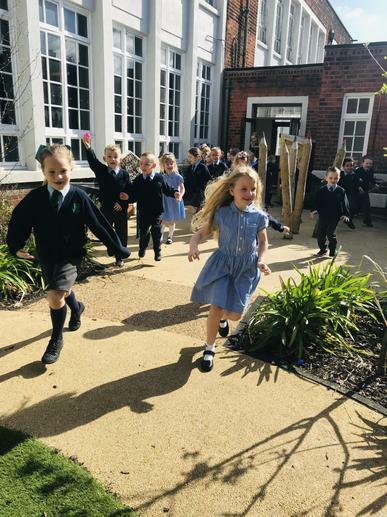 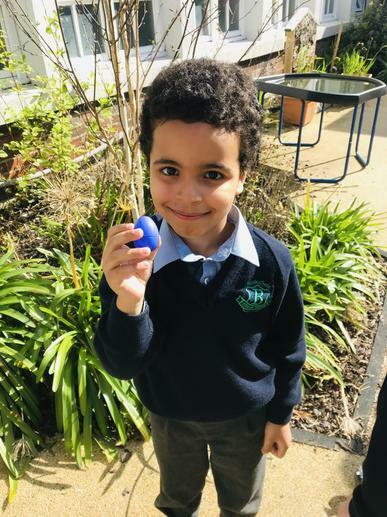 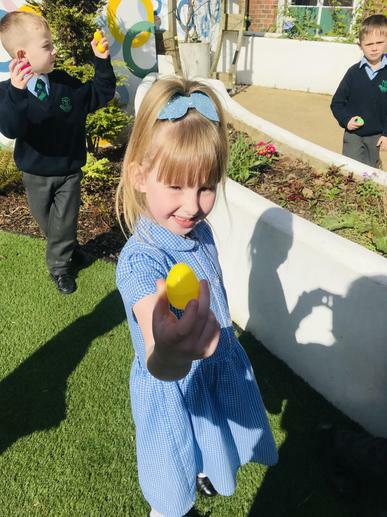 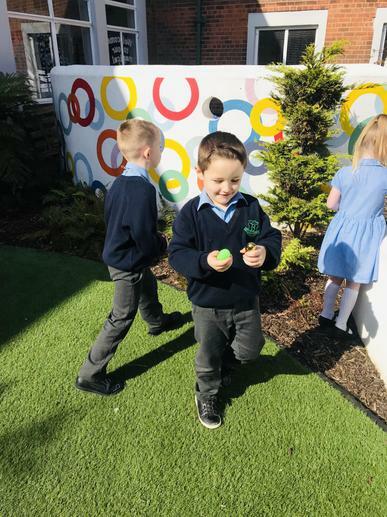 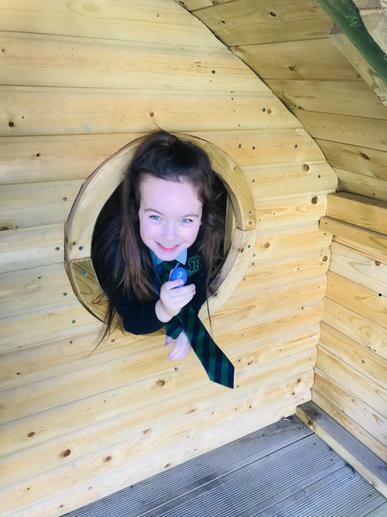 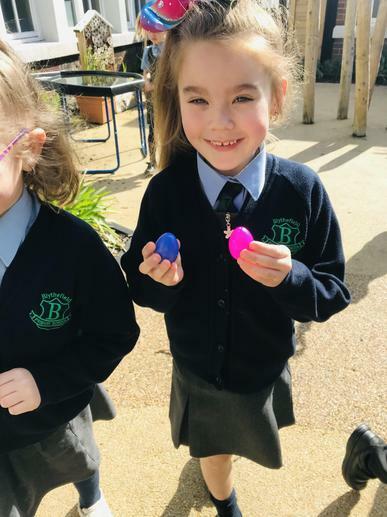 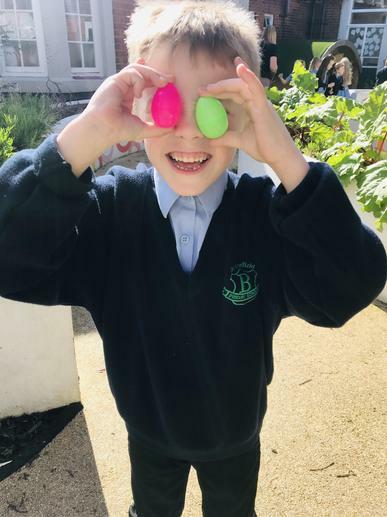 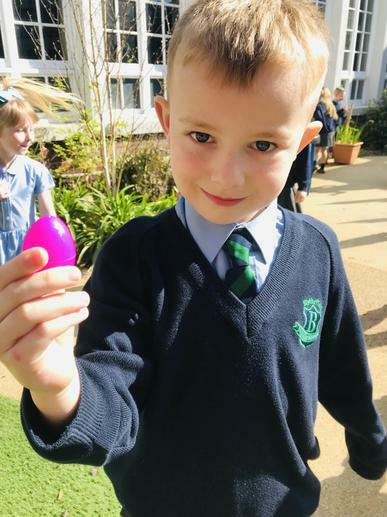 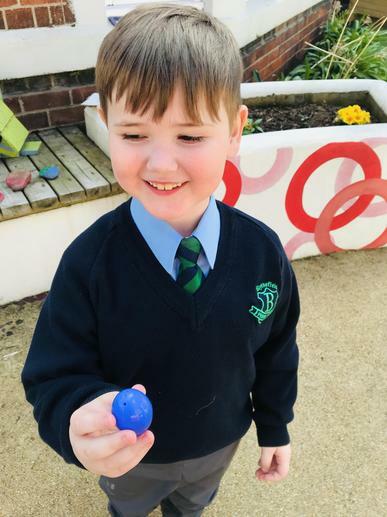 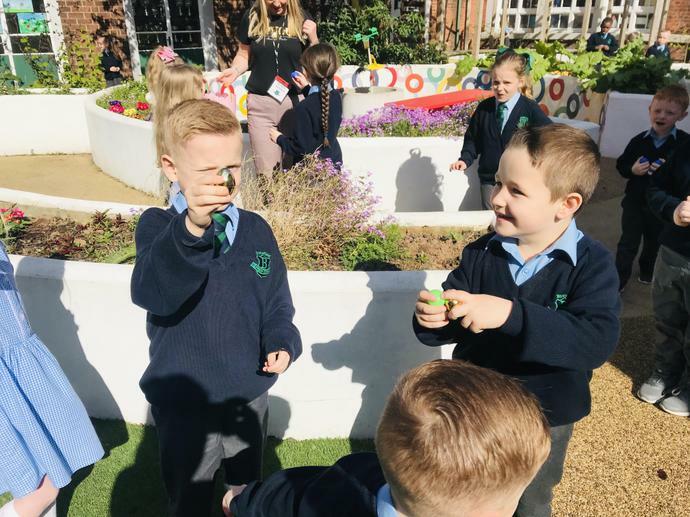 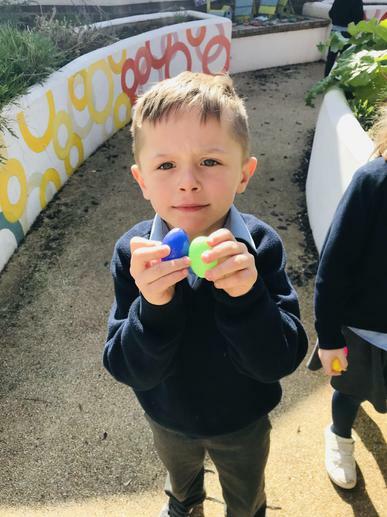 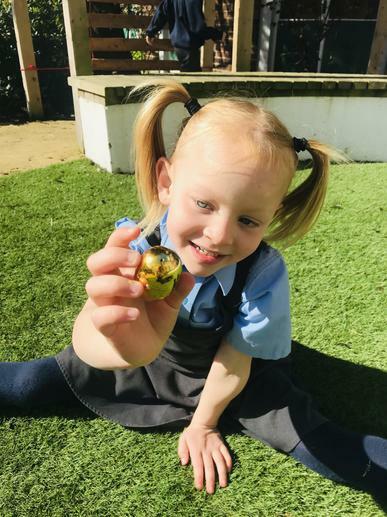 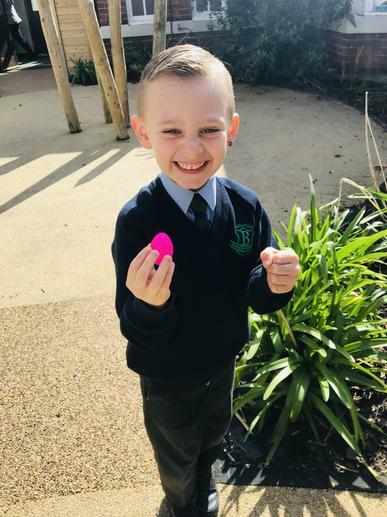 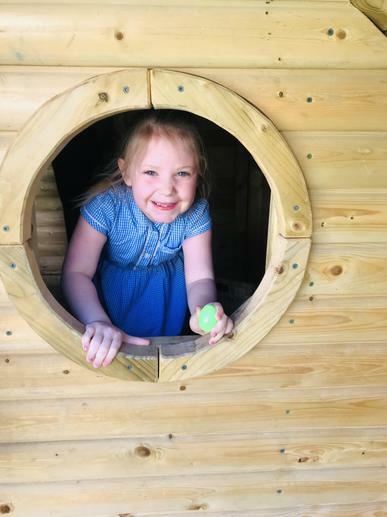 What a fun and exciting time we had in our school garden on an Easter Egg Hunt and on a lovely sunny day! 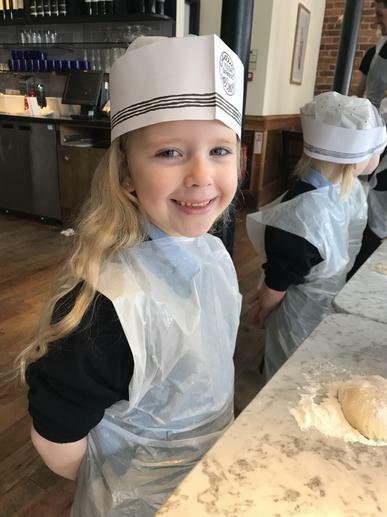 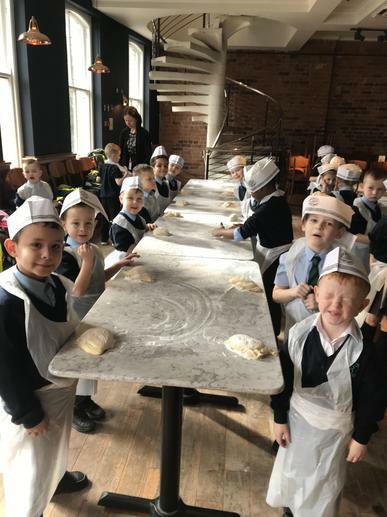 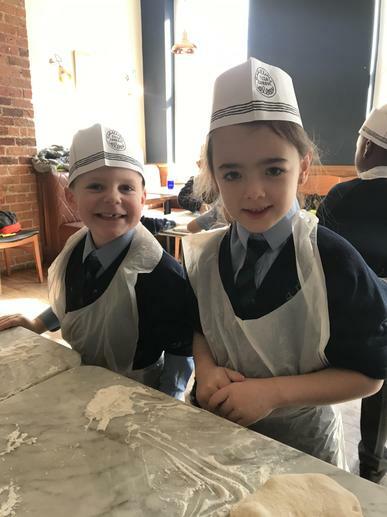 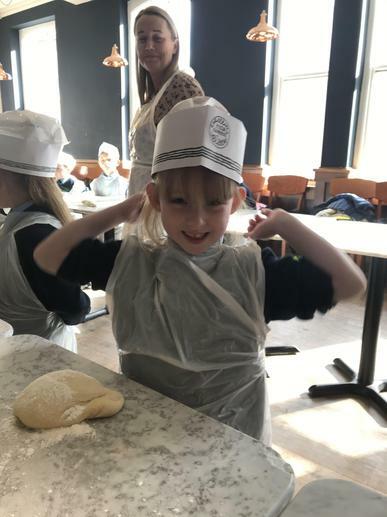 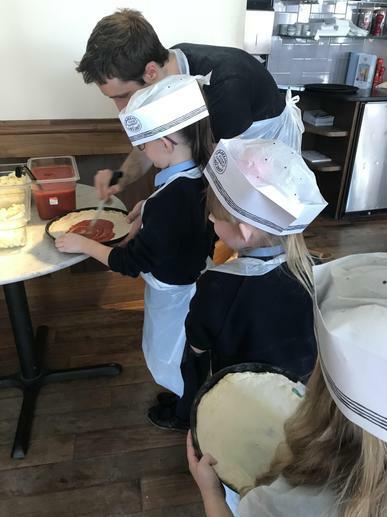 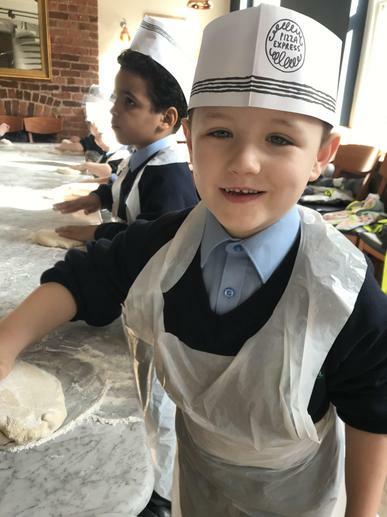 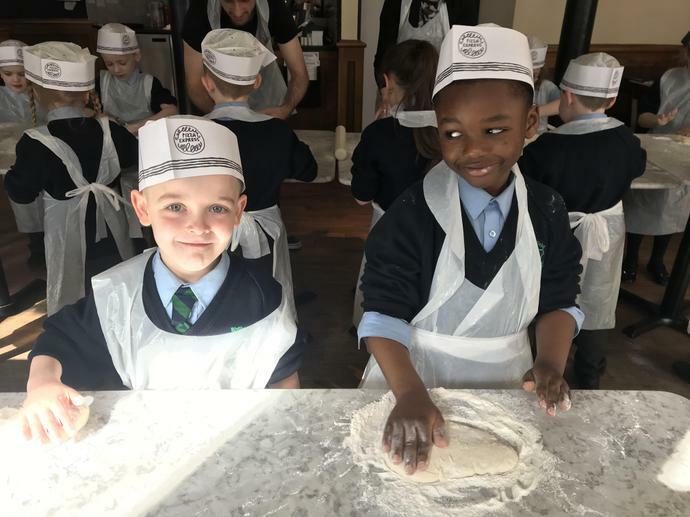 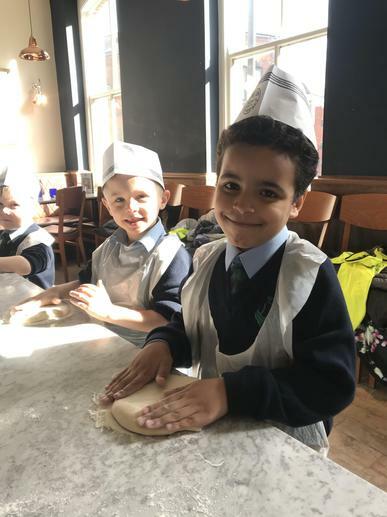 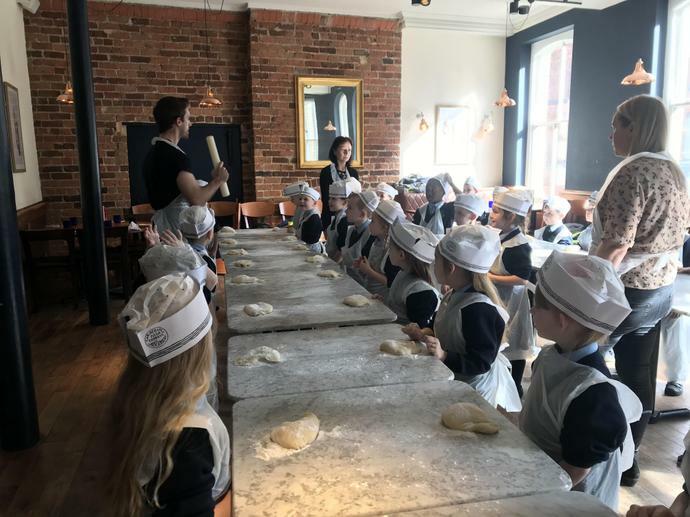 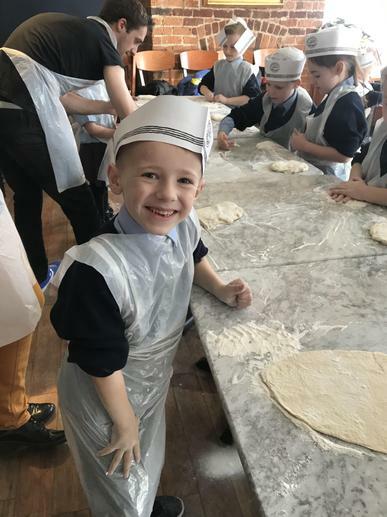 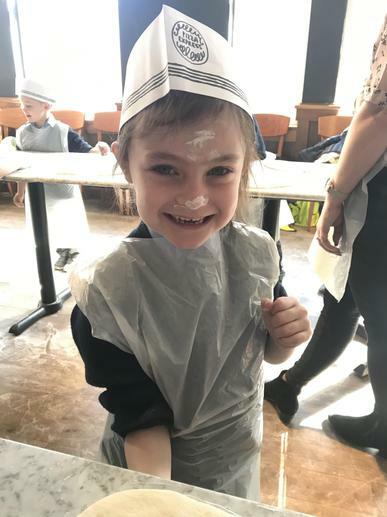 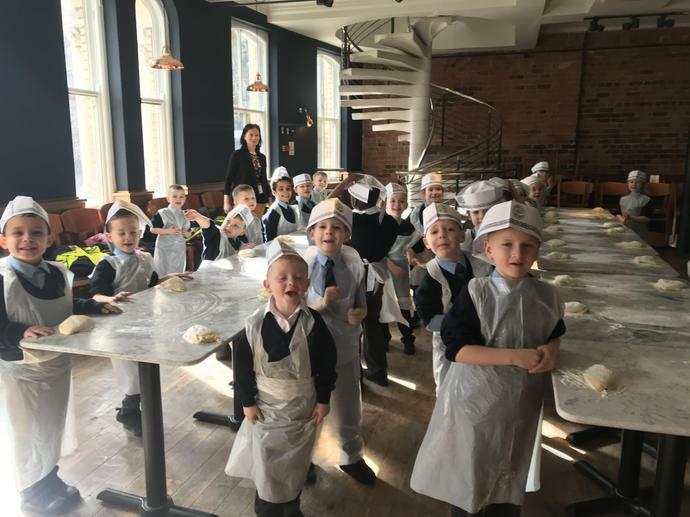 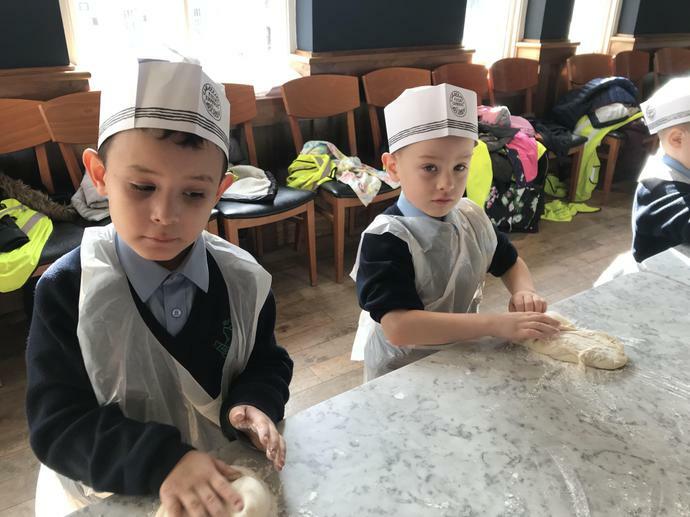 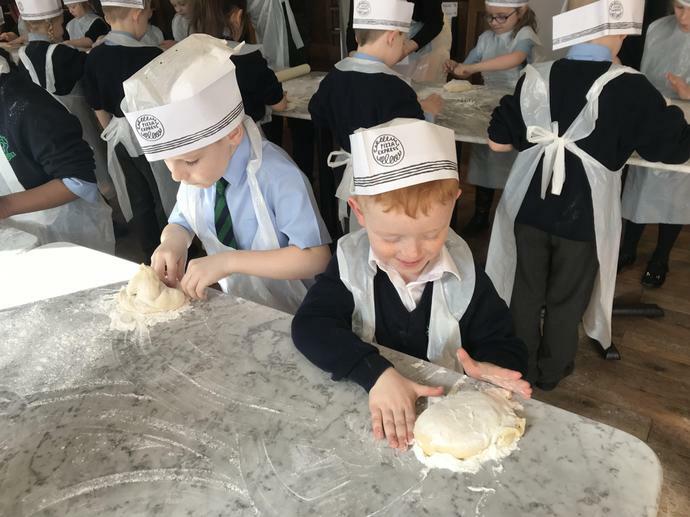 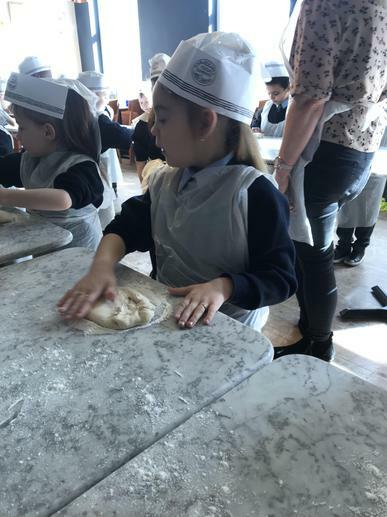 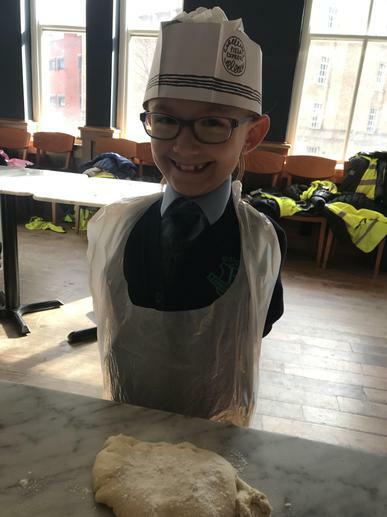 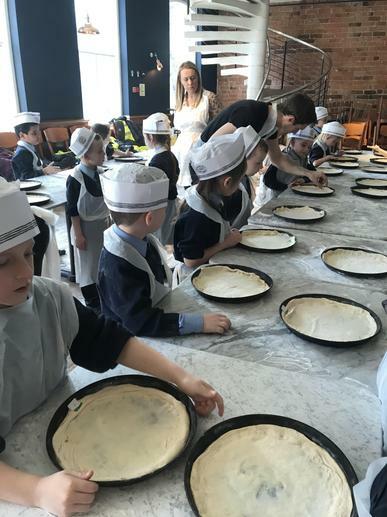 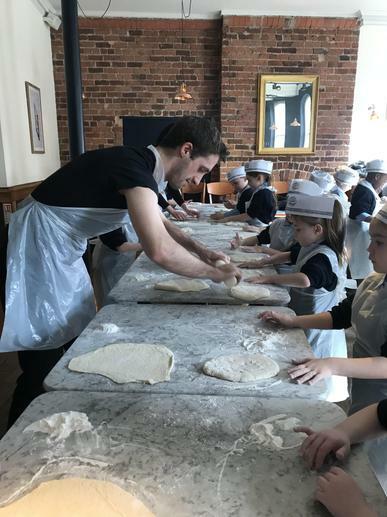 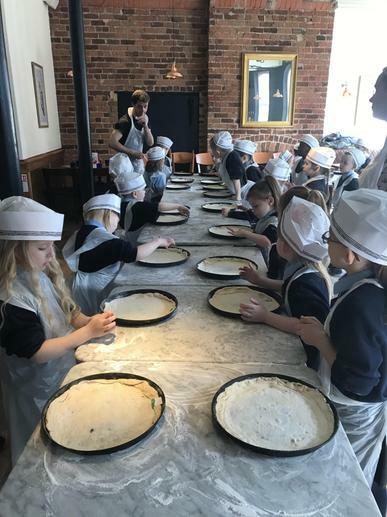 P2 loved making their own pizzas at Pizza Express. 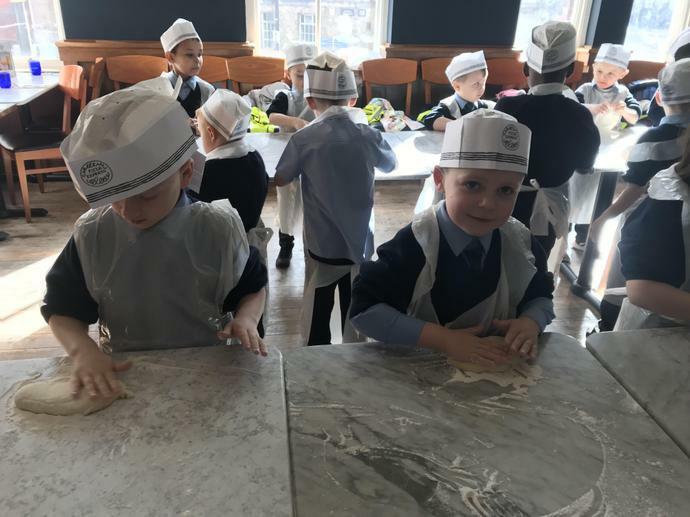 They rolled, tossed and flattened them and they were delicious! 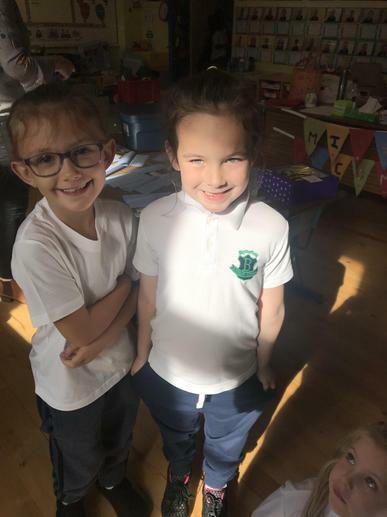 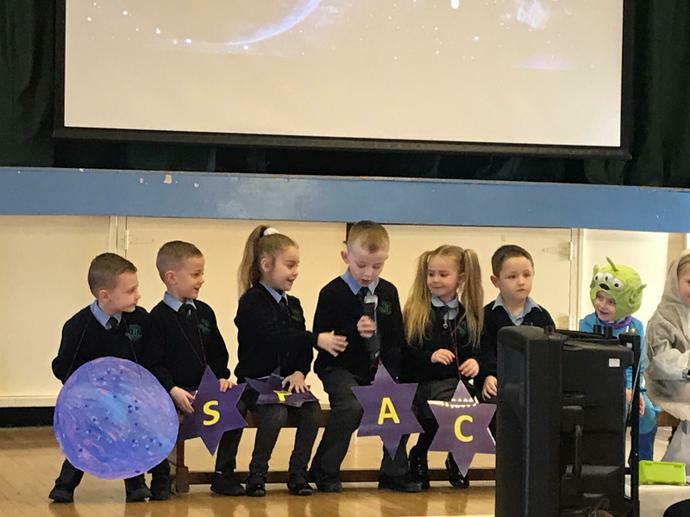 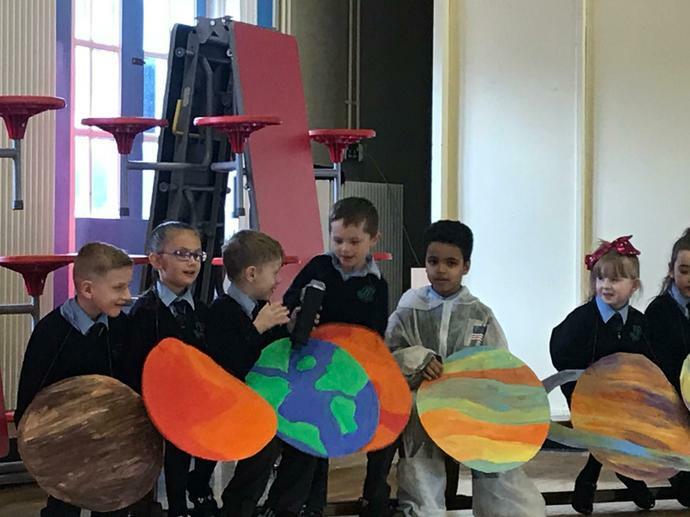 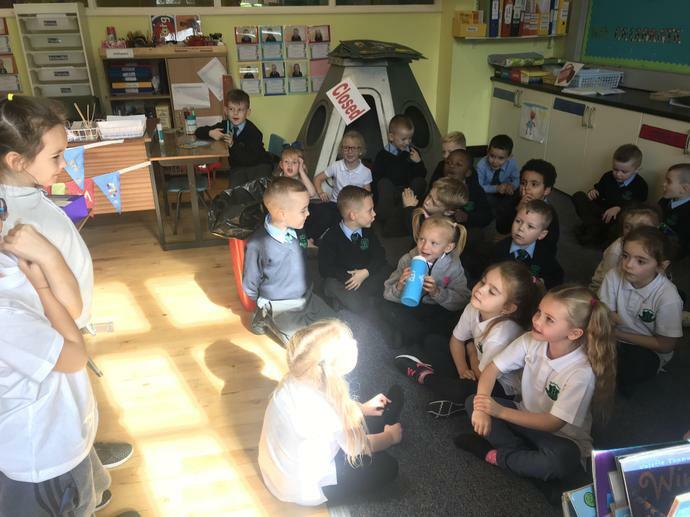 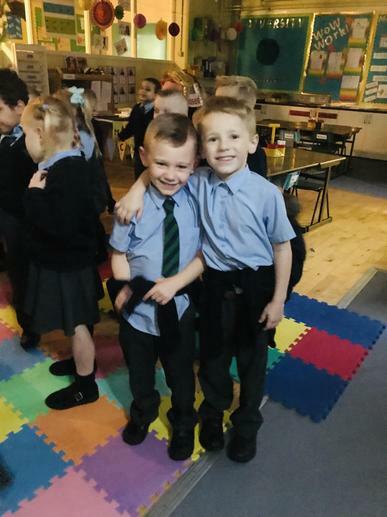 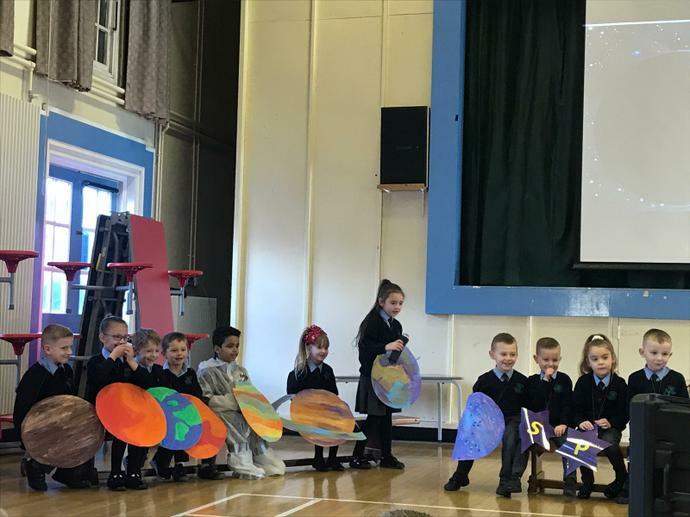 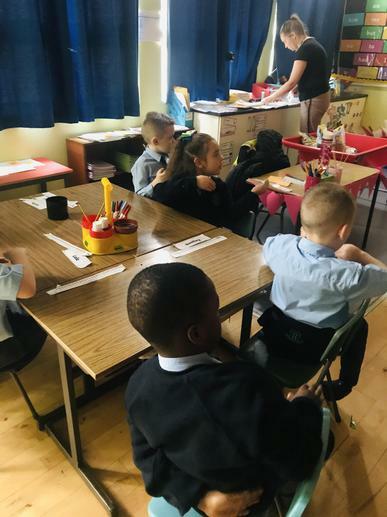 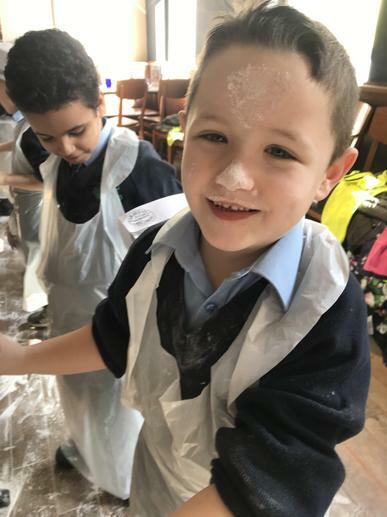 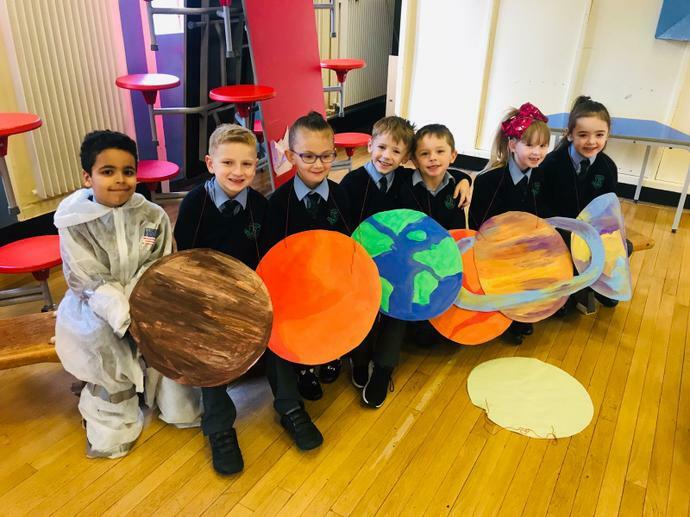 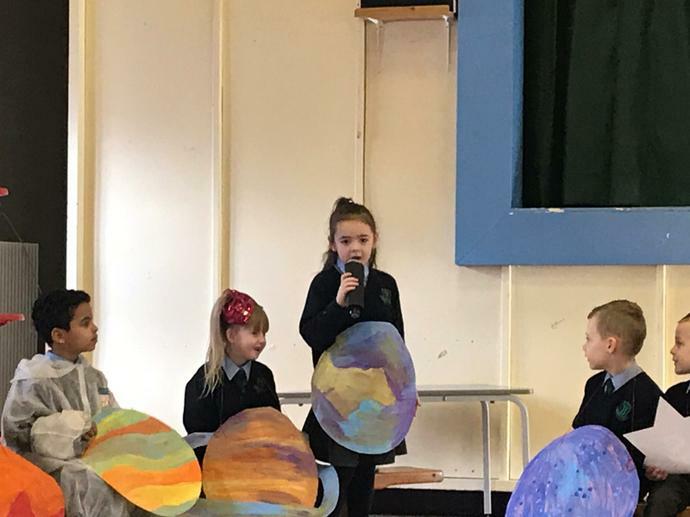 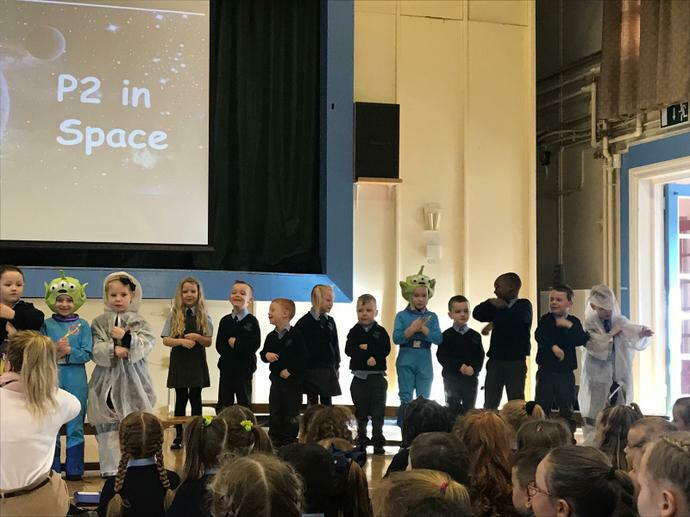 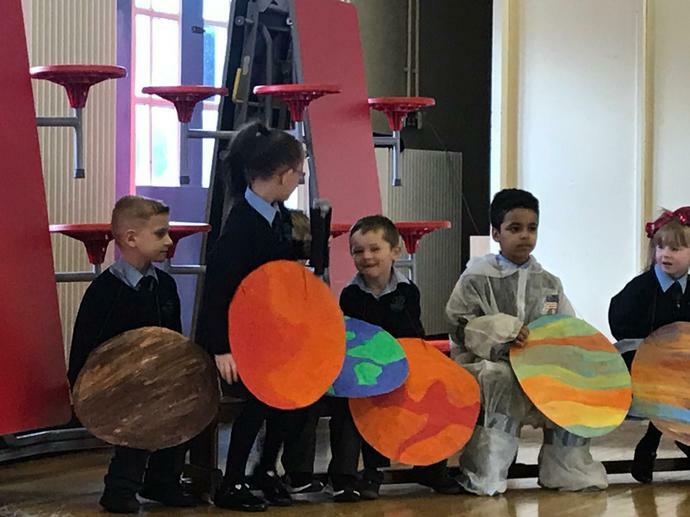 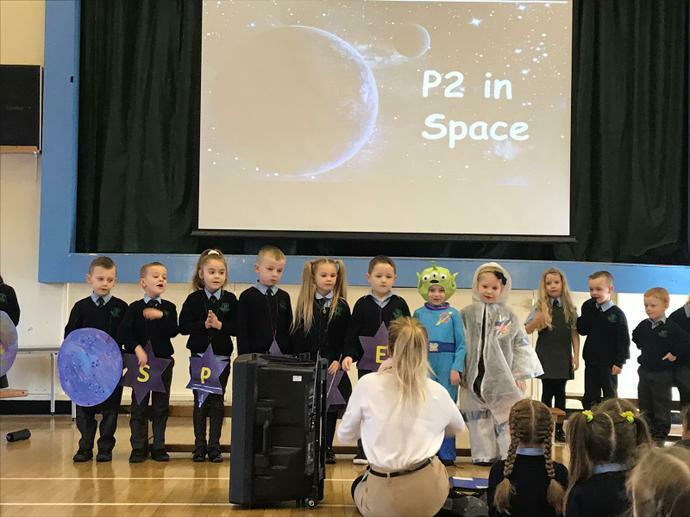 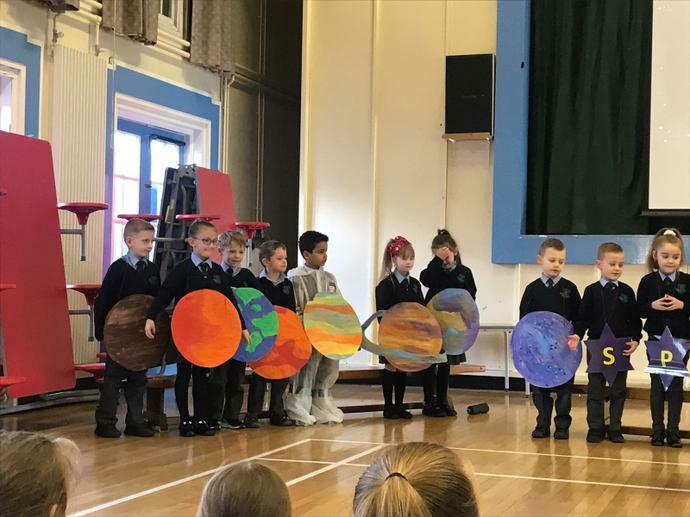 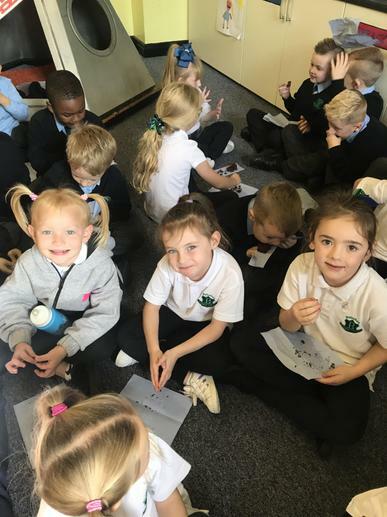 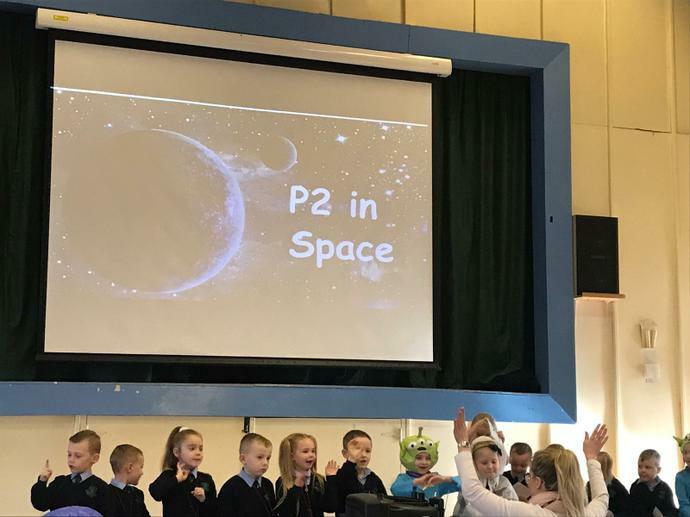 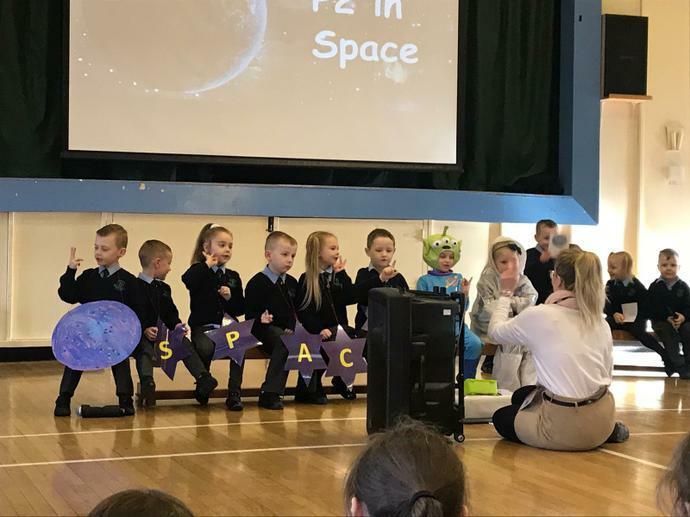 P2 have been learning all about Space, they have been working hard at practicing for our school assembly and got the chance to showcase their knowledge about outer space to the whole school. 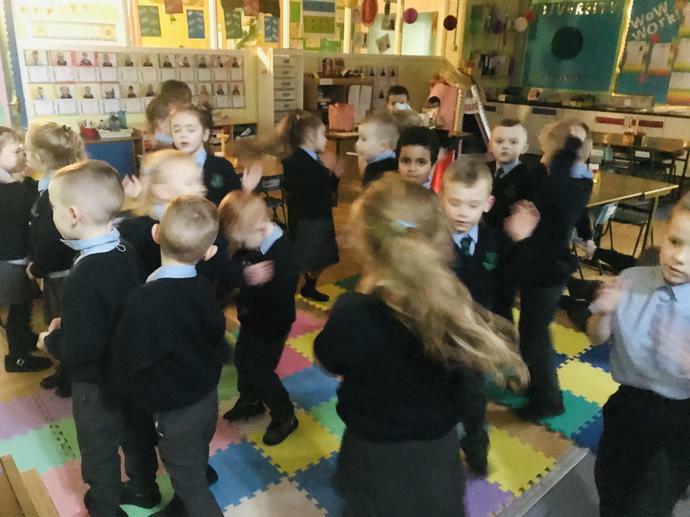 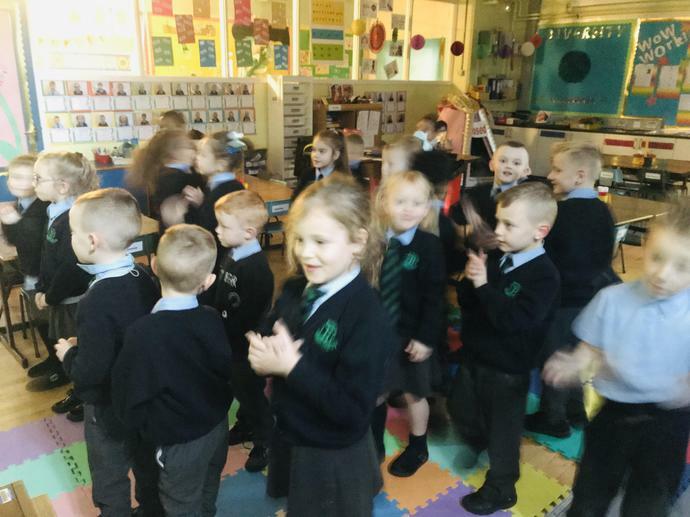 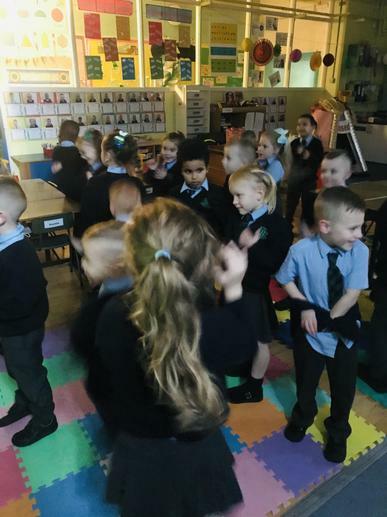 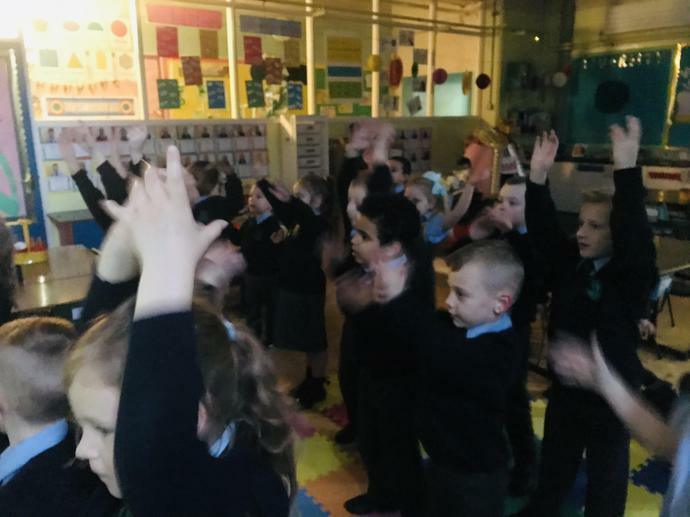 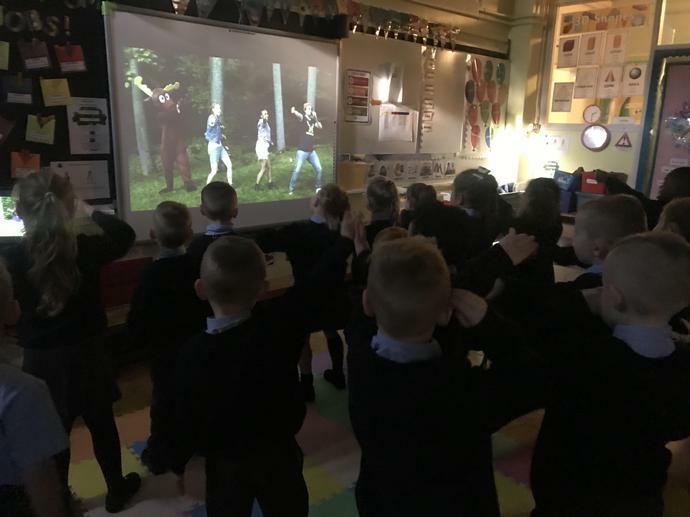 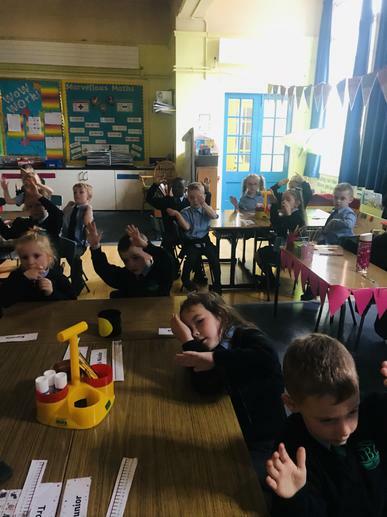 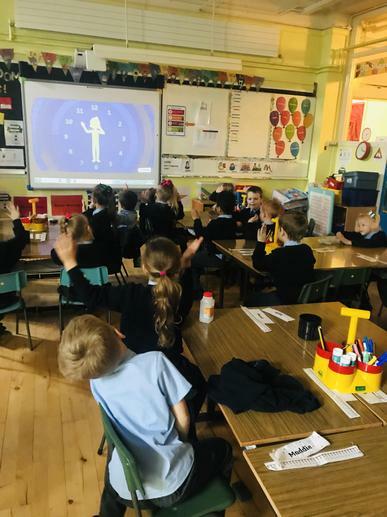 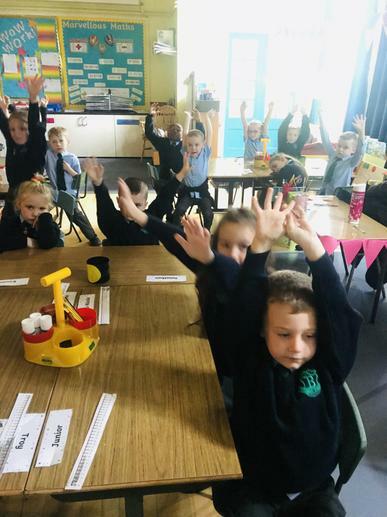 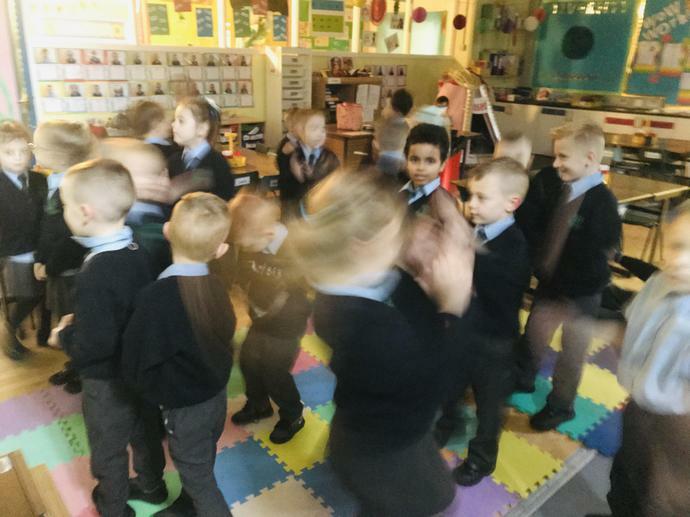 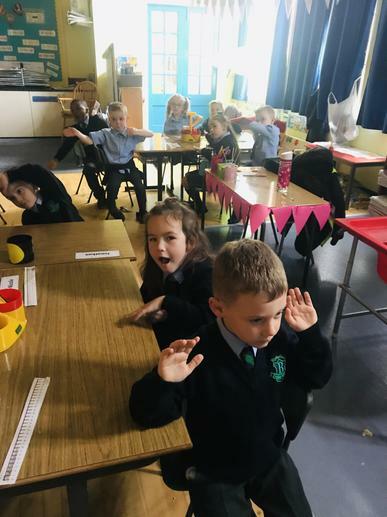 We really enjoy our brain breaks in P2 using Go Noodle to take part in dance and movement sessions. 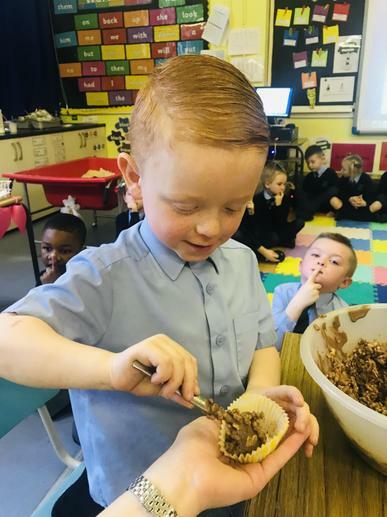 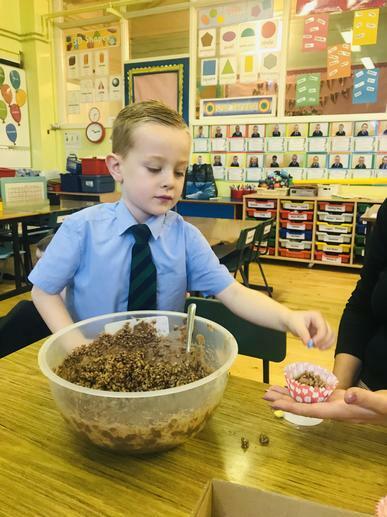 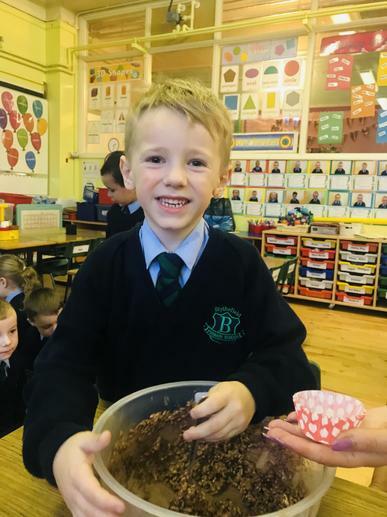 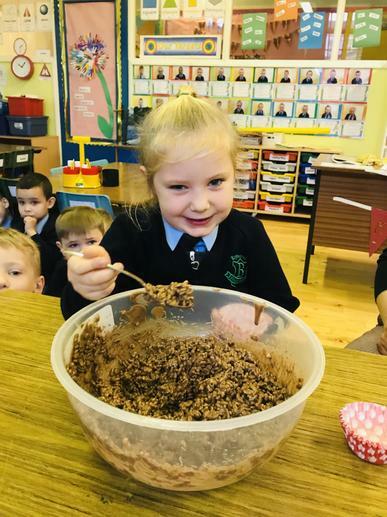 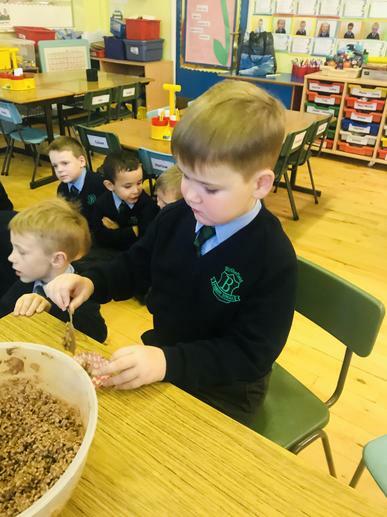 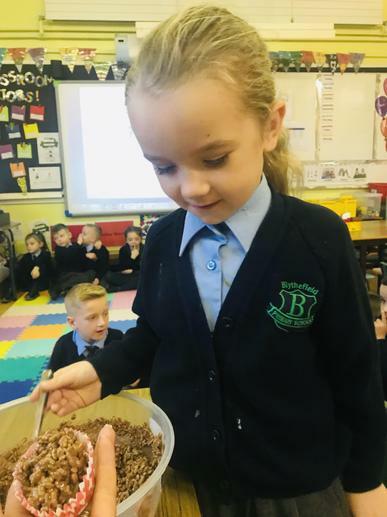 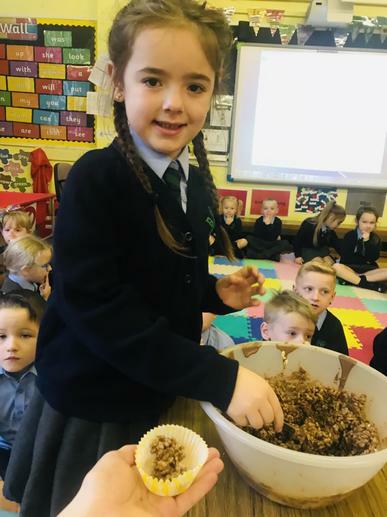 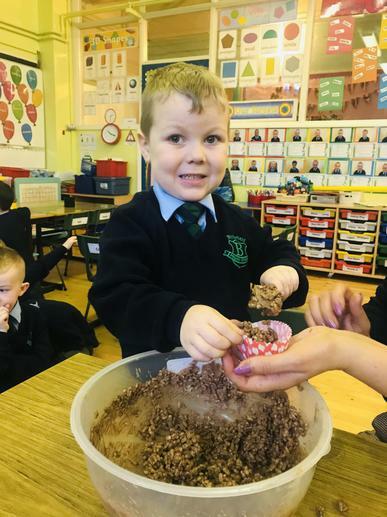 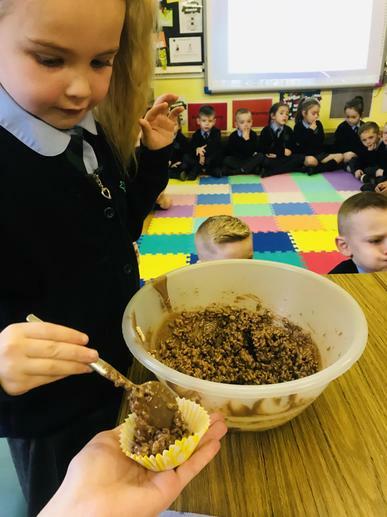 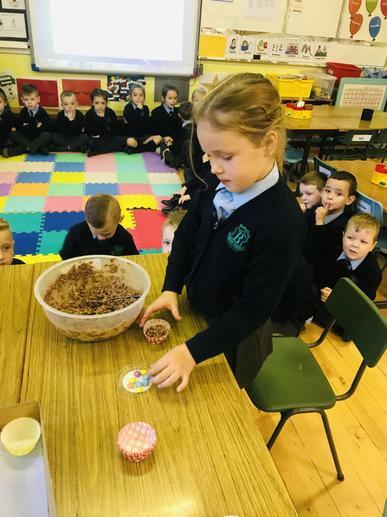 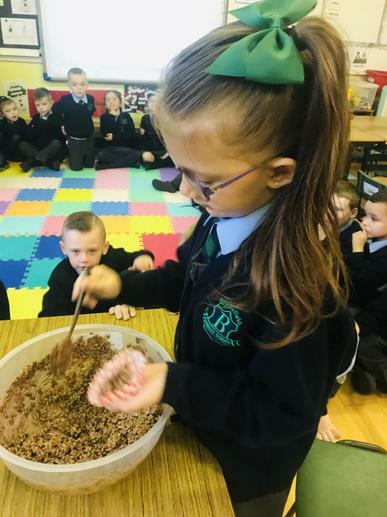 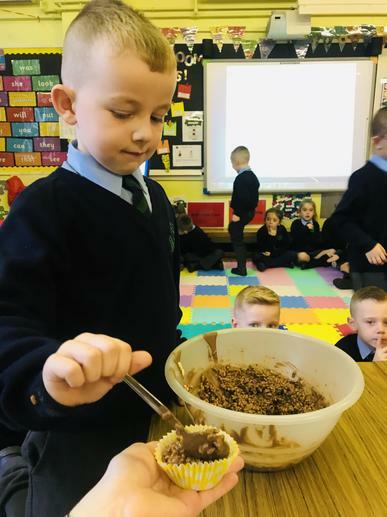 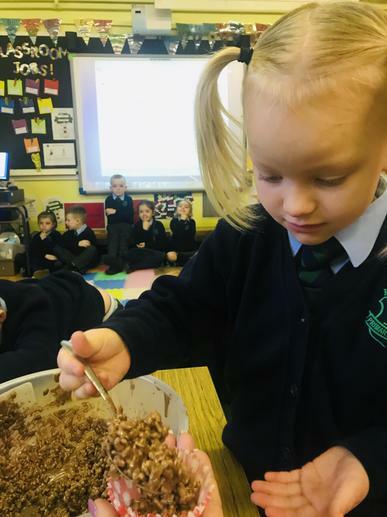 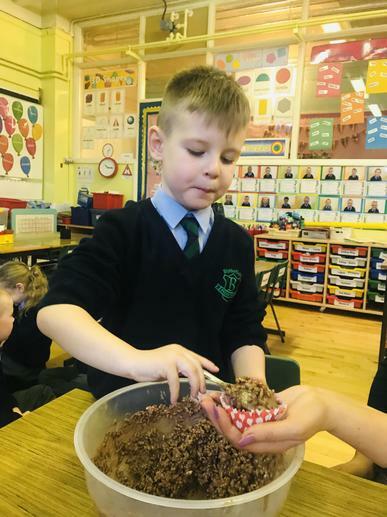 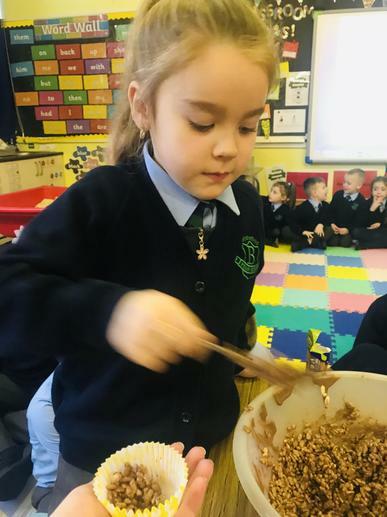 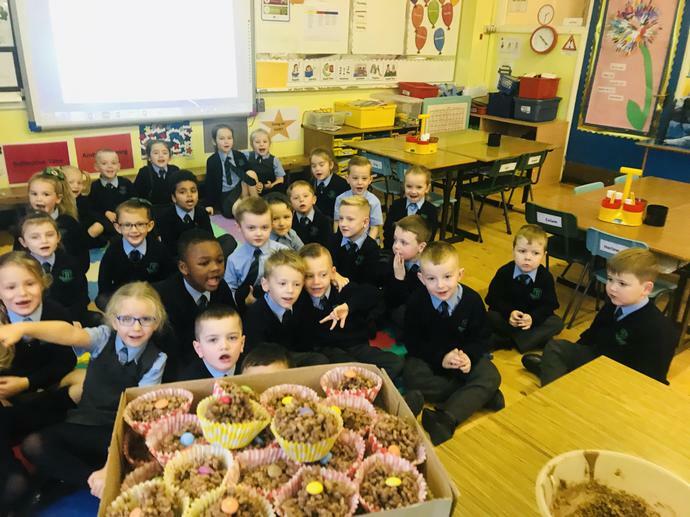 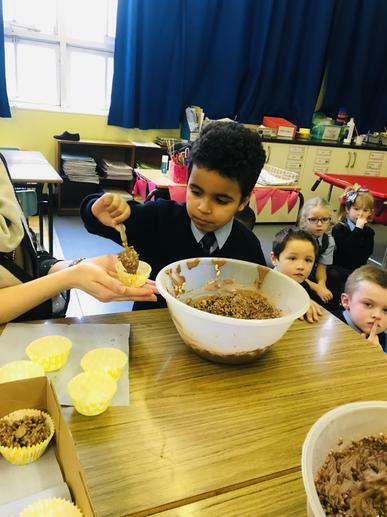 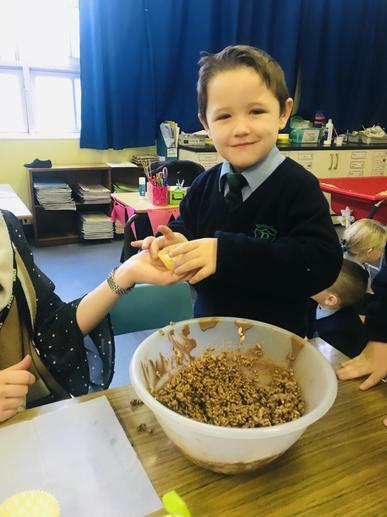 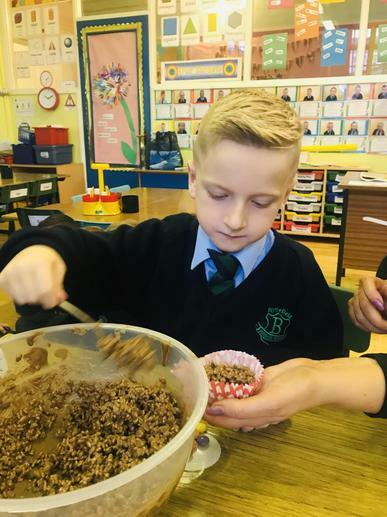 We got to make Rice Krispie buns in P2. 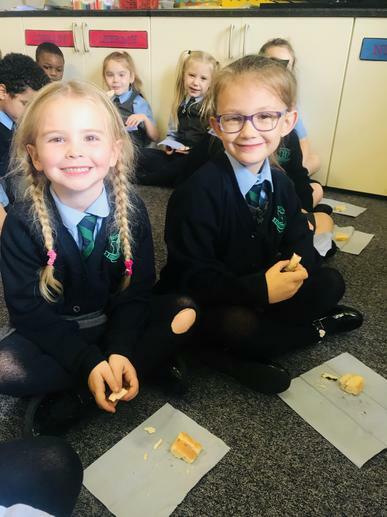 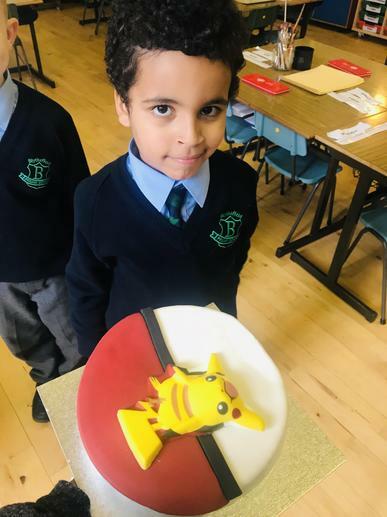 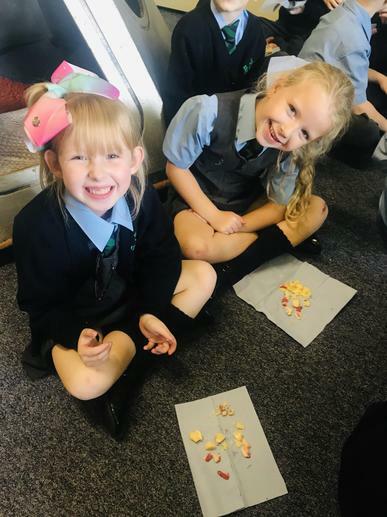 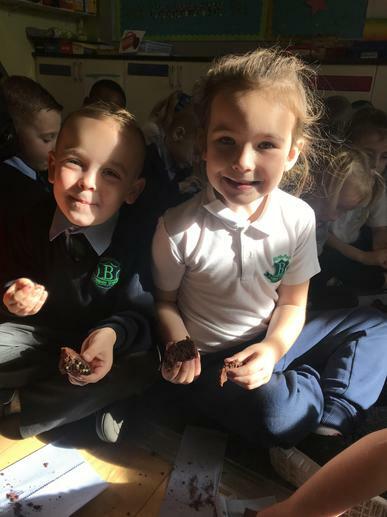 We all enjoyed making and eating them! 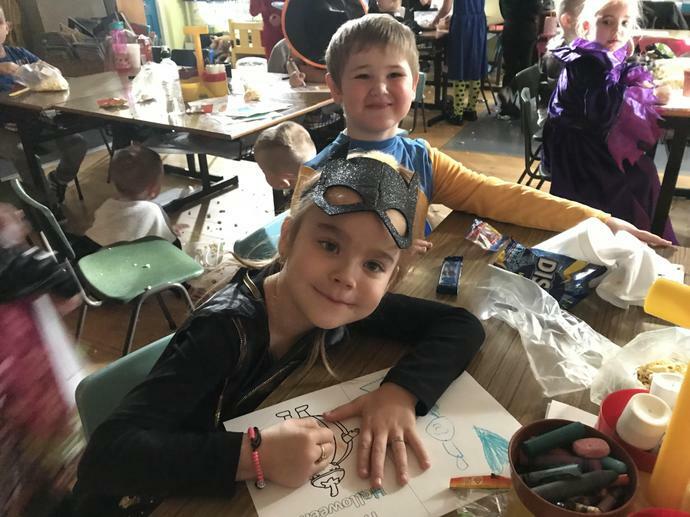 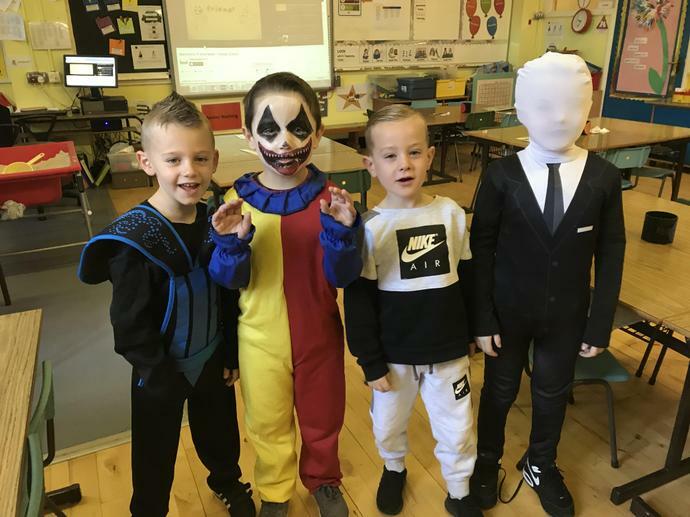 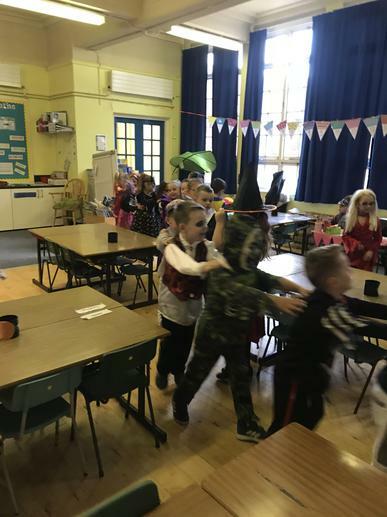 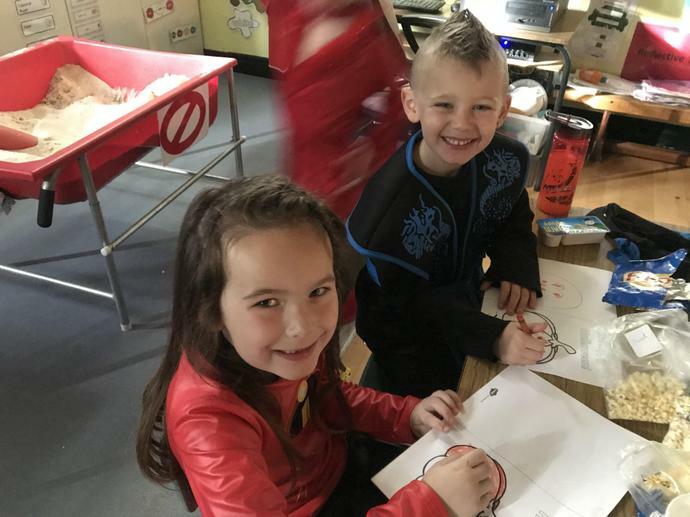 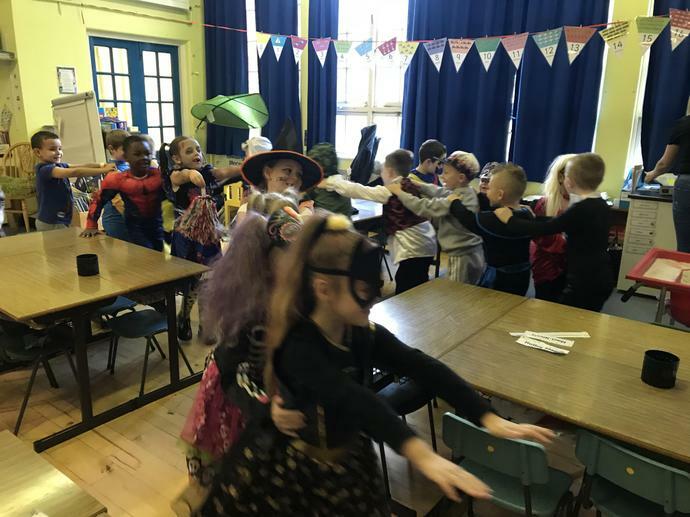 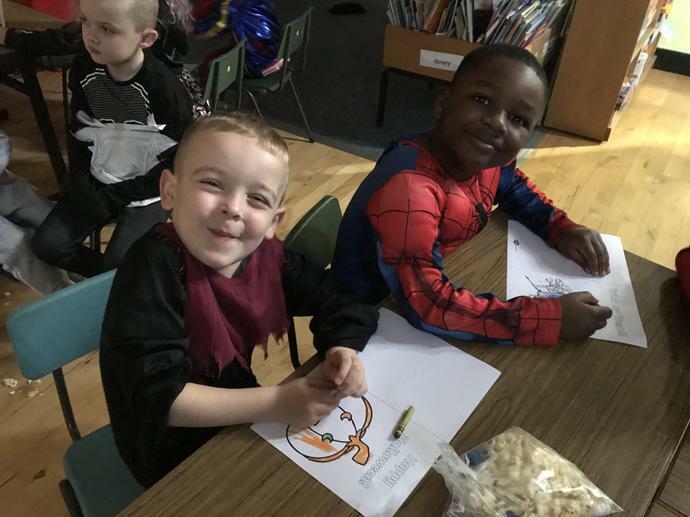 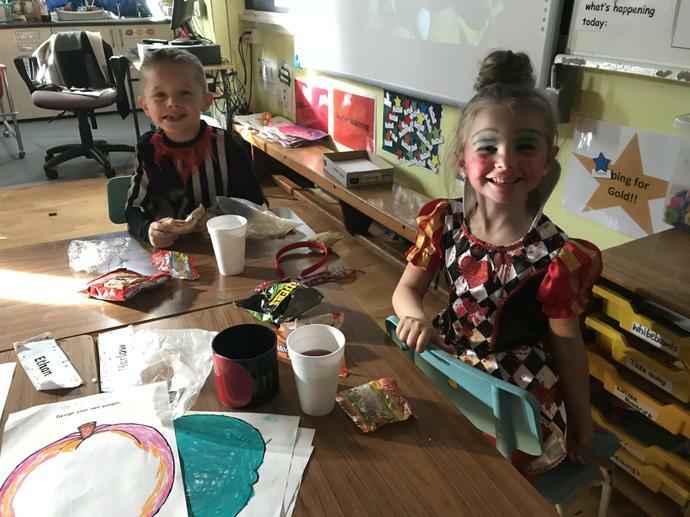 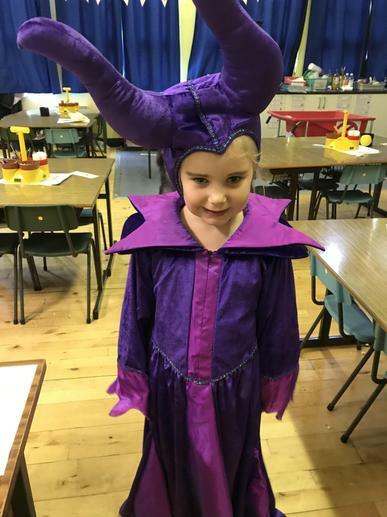 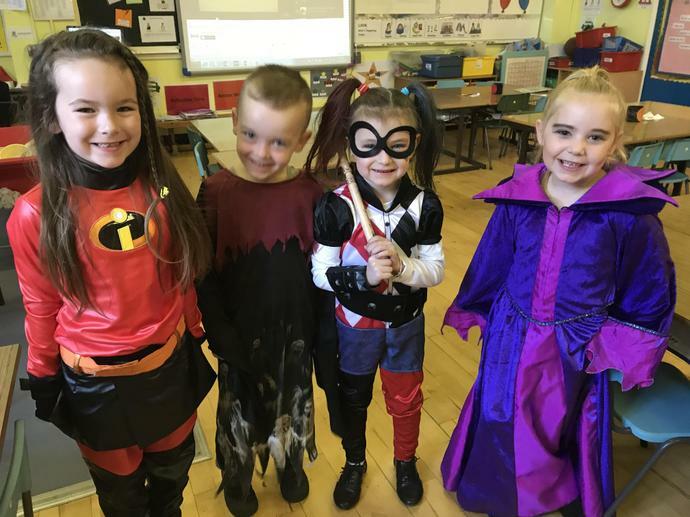 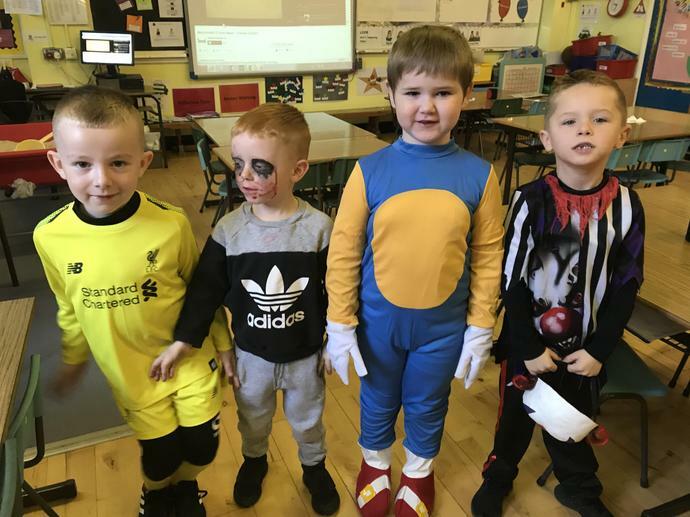 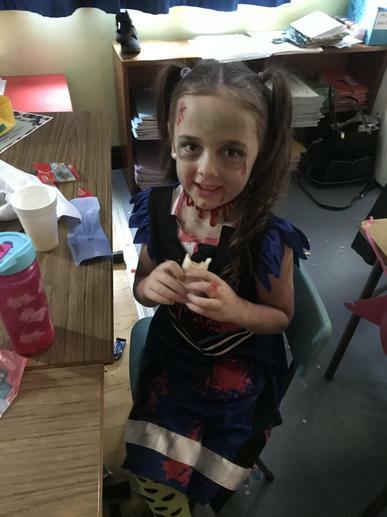 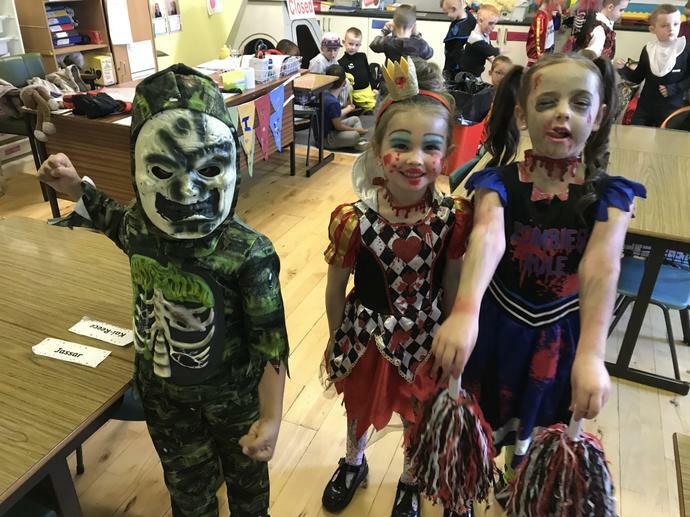 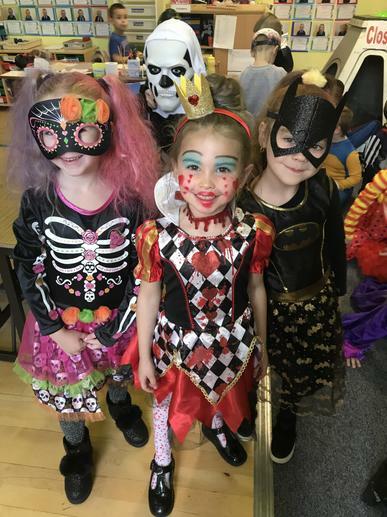 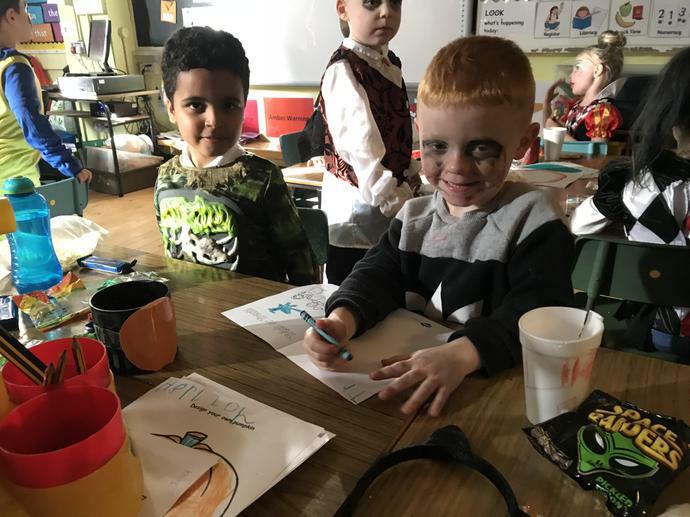 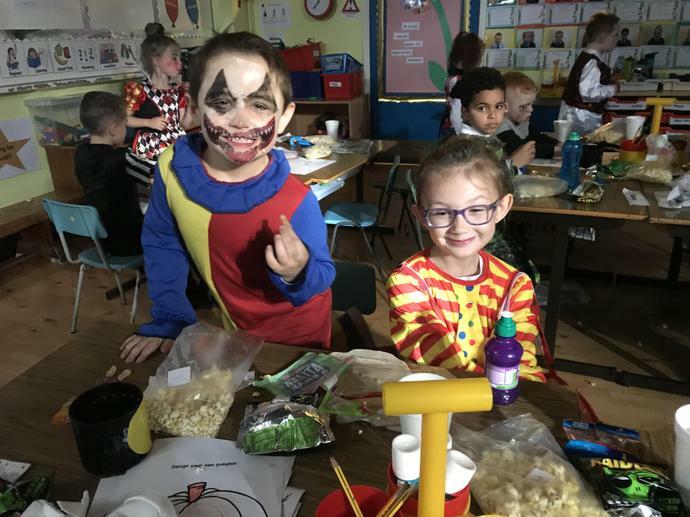 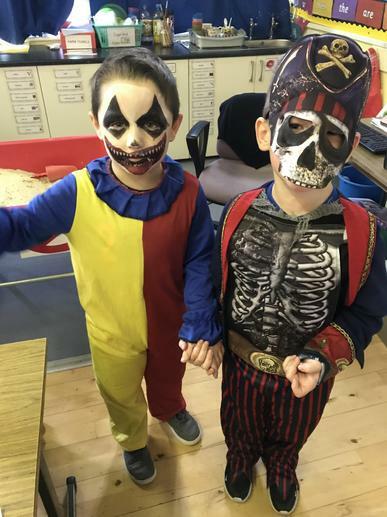 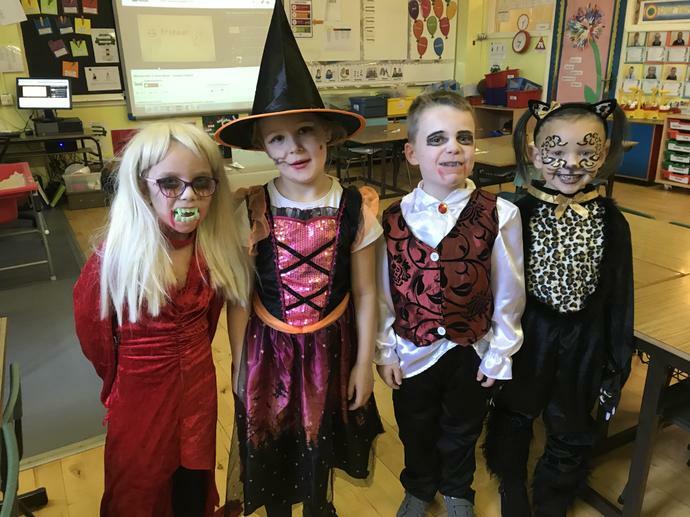 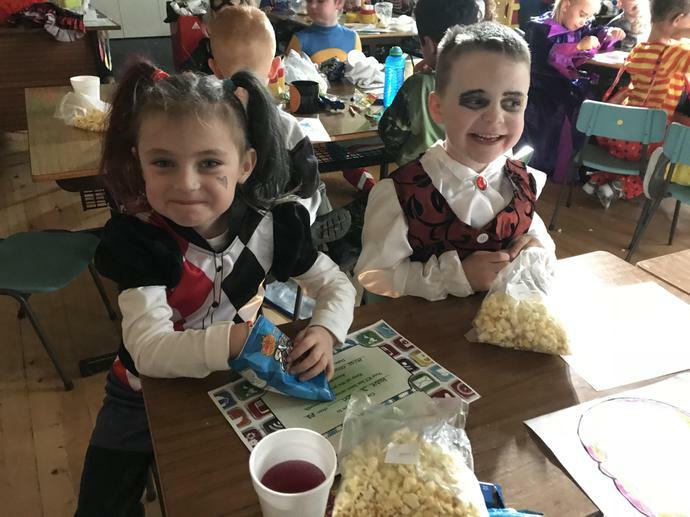 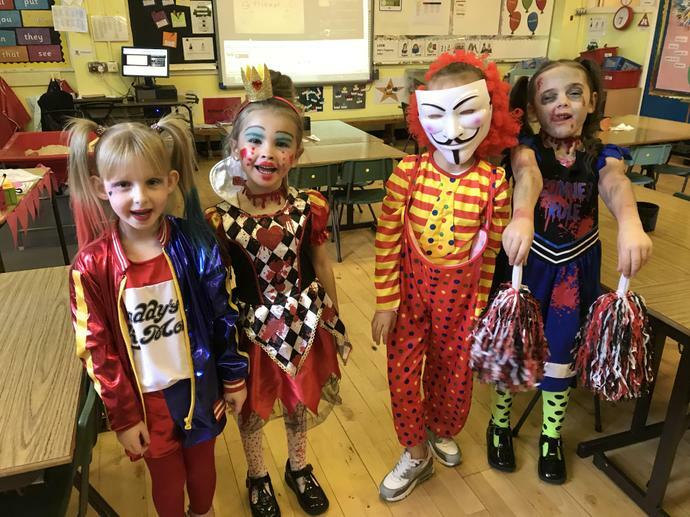 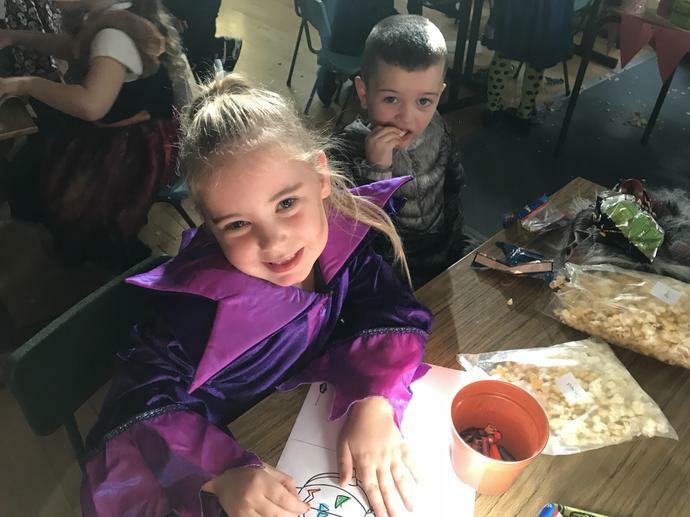 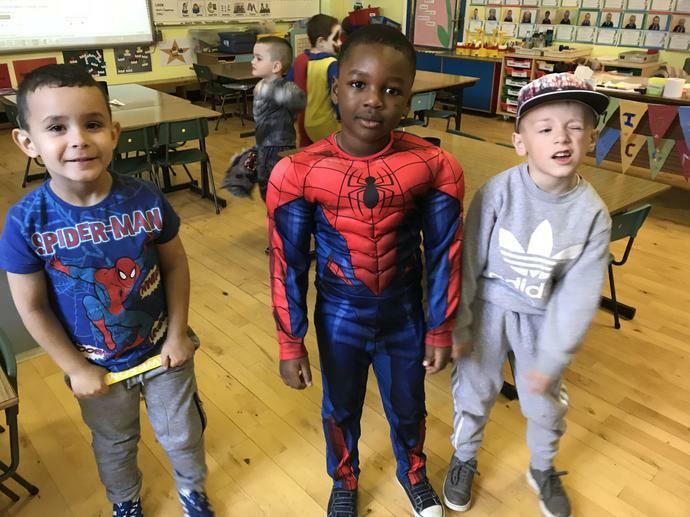 We loved dressing up and our movie and munch day in P2! 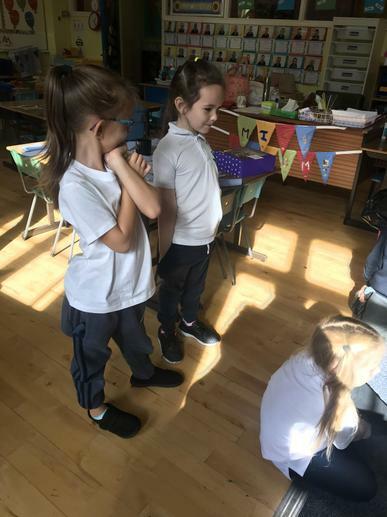 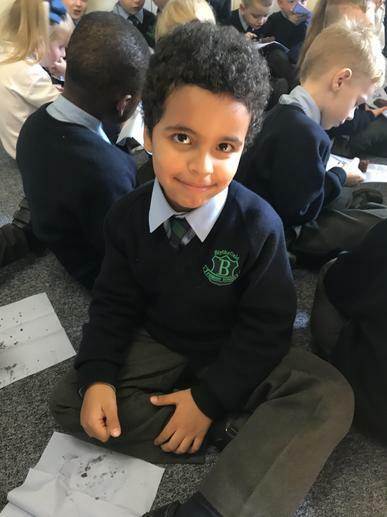 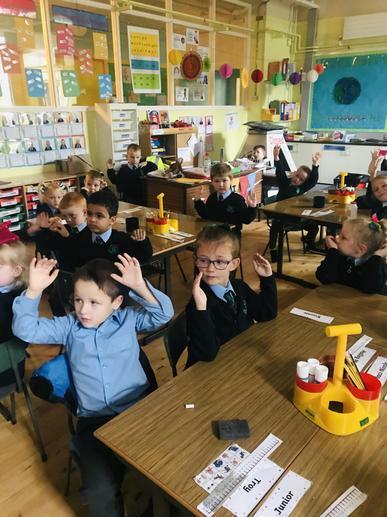 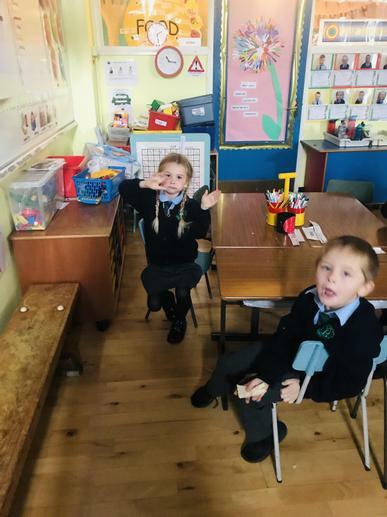 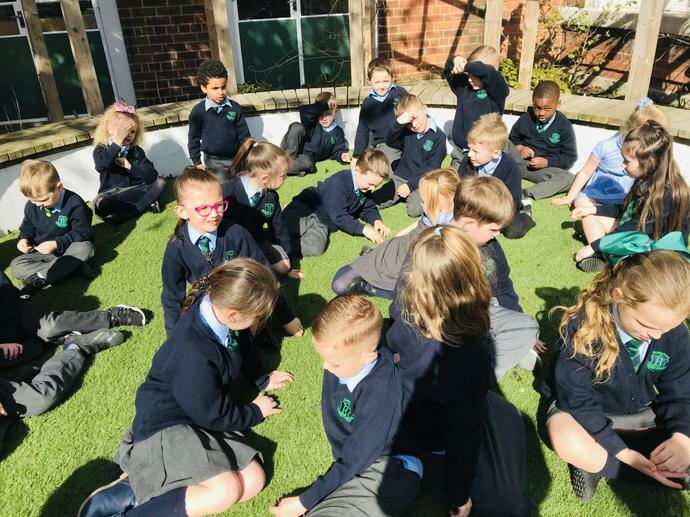 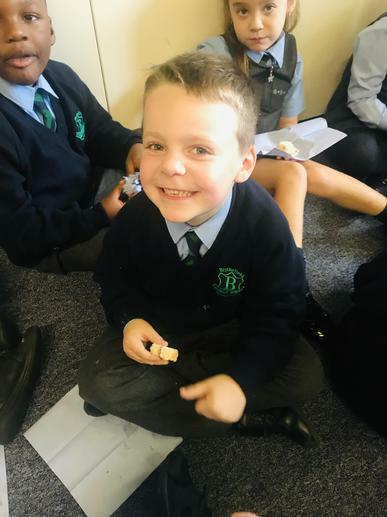 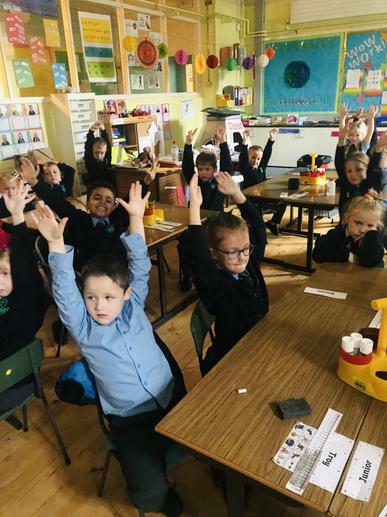 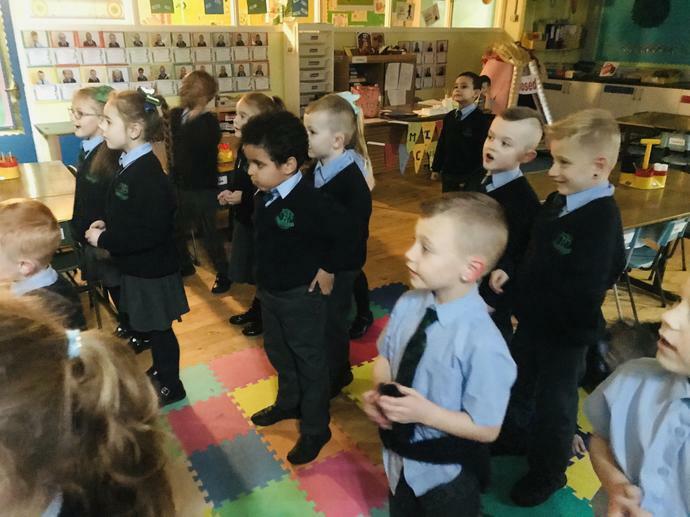 In Primary Two we enjoy our few minutes of mindfulness and being mindful of our bodies. 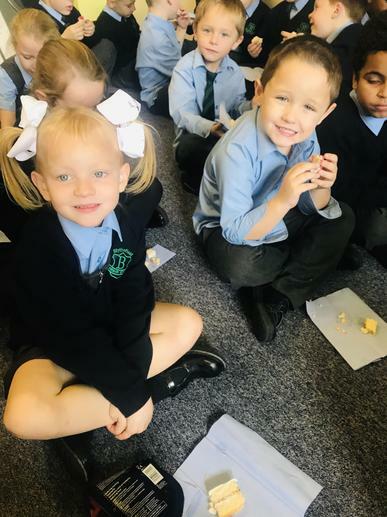 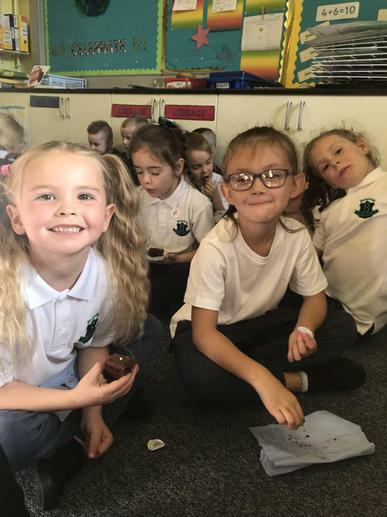 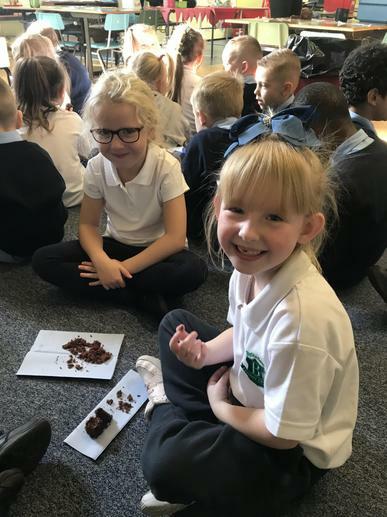 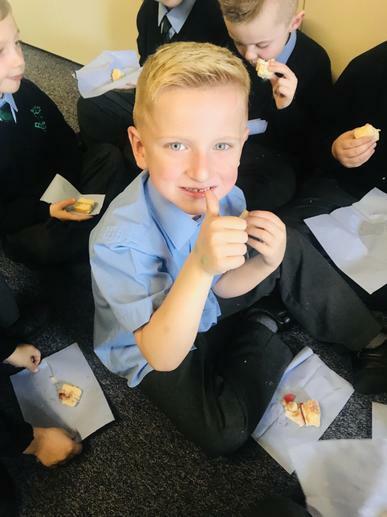 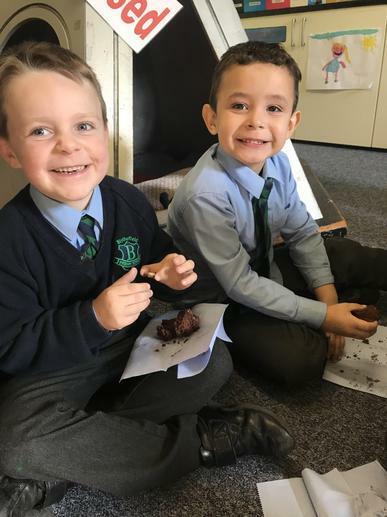 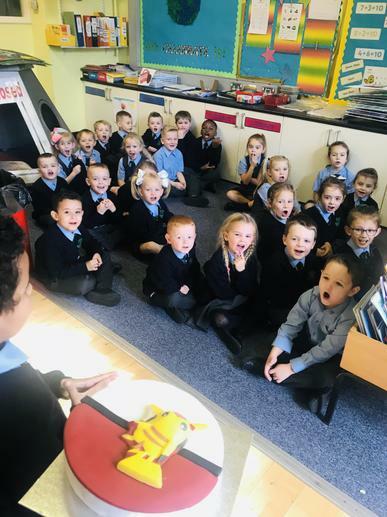 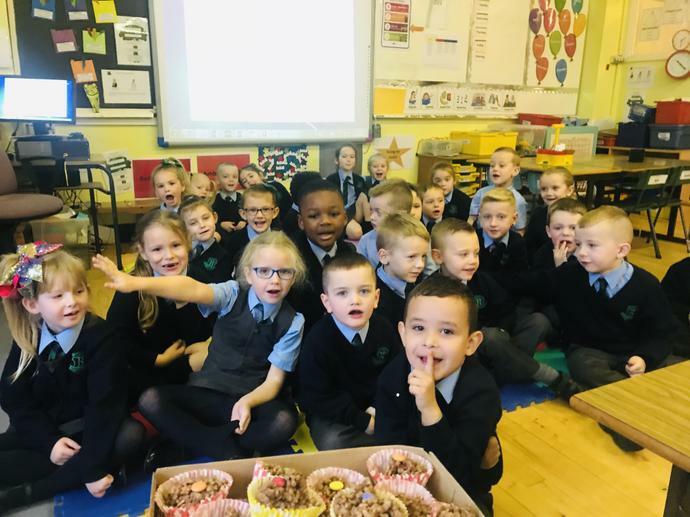 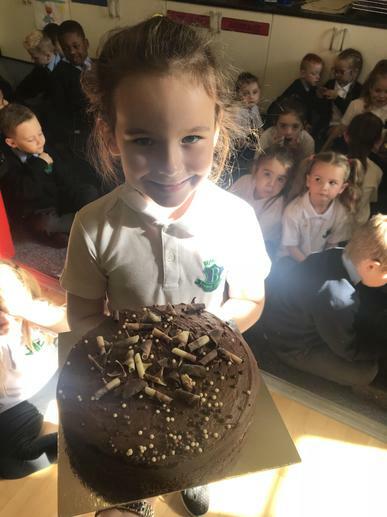 We love celebrating birthdays in P2!